[PS Vita] A 3.12 PSP Kernel exploit in the wild? The PS Vita hacking scene today is limited to exploits within its integrated PSP emulator. Nevertheless, these exploits are in general fairly popular (to a point where the release of Total_Noob’s eCFW in 2012 made the exploited game UNO a best seller on Sony’s PSN), and people are eagerly waiting for them. The last Vita Kernel exploit within the PSP emulator was released last year by Total_Noob for firmware 3.01. Sony have released several revisions of their firmware since then (and a new one is incoming), patching the exploit in the process. Today, people who update to the latest Vita firmware 3.12 do not have a possibility to run homebrews (with one exception for the people who have a Japanese PSN account and are lucky to own a game that was pulled from the Sony store a while ago), and there is no information so far about any upcoming Custom Firmware release. This makes any information about a potential Kernel exploit a very big deal. 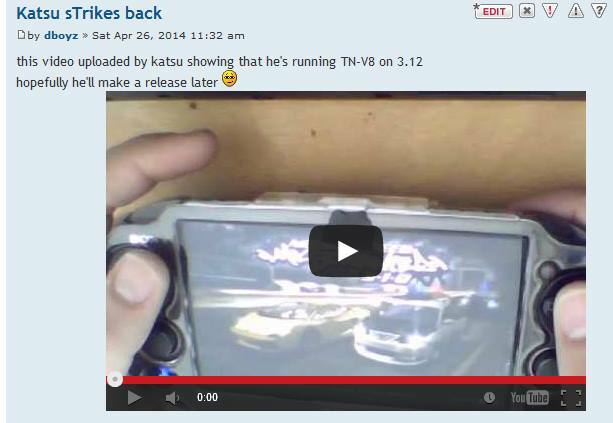 A video was revealed recently on Katsu’s youtube account, showcasing Total_Noob’s TN-V8 running on PS Vita firmware 3.12. (For those who don’t know him, Katsu has shown in the past several Hardware mods on the PS Vita, although none of them has ever been released). After the video started being discussed on our forums, Katsu stated that the exploit is private, was not found by him, and is not scheduled to be released any time soon. The youtube video showcasing the Kernel exploit was then taken down (flagged as private), so you’ll have to take our word for it. I meant pops exploit, not popsmode exploit (got caried over by usermode and kernelmode wording). It’s a bufer overflow in pops when it displays the icons of ps1 saves. Only works on PSP so useless for vita. If I found an Exploit (be it kernel or usermode) how would I know if you already found it? I guess the best thing to do would be contacting one of you guys, right? how does one join your team? I would love to partake in trying to jailbreak the ps vita. one does not simpy join my team, it’s my team that calls you in if we consider that your overall attitude in the forum is what we are looking for. Basically, if you show knowledge or great interest in learning. >Basically, if you show knowledge or great interest in learning. That sounds cooler than what I tought. This is how people like Matheulh get access to information and exploits. Don’t give it to people who say I have 5 of something. Because chances are they started out with 1 and 4 other people have come to them saying I have something and now they have 5. Yes @acid_snake I have a HUGE INTEREST to learn what you guys do. Very interesting. Keep them private until the end of this year. Then release just one. I only upgraded for Ffx and ffx2 for cross play with ps 3 . Just because he has them doesn’t mean they will be released. You don’t need to upgrade to current vita update to play. You do if you want to cross play because it connects to server to upload to cloud. I had used the vita thanks to this site and hard work “Wololo” and others to play emulators, have super collapse and monster hunter and games looked great on emulators. I did not how ever slam wololo and others to dedicate days, months, years to give me free $#it and *** about it like in previous posts. Ahh what it was like to be ten years old and know it all. Also forgot to mention that you DO NEED to be current firmware for ffx2 because it is download only. 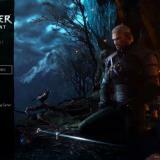 For that you enter the voucher code in the playstation store for redemtion. I jus talk hardware and software. And I watch. Movie. Sure, show us how you’d do that. You don’t understand how any of this works do you? Yeah LOL Like heck they wont.. Drama LOL No need to hype-up something that will never happen..
Will they release it !? And don’t says go make your own..
Vita’s dead until a real native..
Not sure you deserve an answer, but Acid_Snake and myself have contributed to the Vita scene much more than you give us credit for. TN surely deserves praises for his eCFW and his kernel exploits, but you shouldn’t forget that these would be nothing if it wasn’t for the 20 usermode exploits we helped releasing here, that allow to trigger the kernel exploit in the first place. Check again the other sites of the Vita scene. Check carefully where they get their information from, and where every. single. release. has come from in the past 2 years. Then ask yourself if you seriously think I do nothing for the vita community. I’m not asking for people to praise me like some sort of god. But you should acknowledge that there are *lots* of people helping the vita scene, and that includes me in a major way. TN is one of these people, and he’s brilliant, but everybody else helps where they can. 3 kernel exploits have been released, only one was by TN. One was by frostegater, the one for up to 2.02. No one forces you to watch videos. If you dont want to wait for things, do them yourself! Comme j’ai dis dans le post plus haut, je suis pascapable, je me prendrai pas la tete avec ca, et de toute facon je me suis tanner assez vite du kernel les jeux de PSP c’est un peux passer date.. sans un Native pour moi la vita est morte.. Le point que je voulais faire c’est ca sert a quoi dans avoir 10 Kernel? En release 1 tout les 6-8 mois sa vous ferai quoi ? English, german or dont bother posting in the first place. Those are the kernel exploits from acid_snake and co., they decide when to release what, if they want to release anything at all. They could have 1000, and it would still be their decision to release none of them. If you dont want to wait for a new kxploit, dont update your PS Vita. If you already updated it, find one yourself. Final fantasy Cerberus(think that what the game called) / ps two final fantasy game be boss for the vita. So I got tired after the update.then my laptop I got to get a new one that’s faster I guess but I think I had to try linux. But I atleast got I WiFi ps vita I can add parts too. 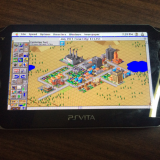 We need real ps vita hack normal vita hombrew, game …. I have to say honestly, I don’t know why people bother with these, you can’t play online when they patch the new firmware, and I don’t know why people would want to play psp iso on PS vita? The only other good thing about a kernel exploit is real amazing cheat codes, such as GTA vice city, or back in the day of medal of honour. Honestly, it really isn’t worth the money to get the game to have it removed, and lose playstation plus games if you have that. The best exploit was the psp signing exploit, that made “The medal of honour” code plugin signed a homebrew to OFW, KGSWS or something similar. And it is only exciting for people who have enough money for more than one device. The thing is the vita isn’t worth hacking, and geohot isn’t working on it, he was like one of the most productive and smart, but obviously I think Sony handled the whole situation very fairly. I was with you up till the name drop, if you want to talk top tier PS3 devs then its not hotz. you guys you are stupid, play yet to find bugs on an old system like psp, you have to get to the native kernel. Only in this way ‘sony can actually figure’ out where in the wrong. That there is a reverser engine only valid for this, GeoHot is a small boy paid by sony !! *** The System ! i wish the vita doesn’t get fully hacked. psp iso on the vita is convinient and that’s neat. but the value of the vita will decrease once it’s fully exploitable, at least in the eyes of game developers. the vita sales will rocket up yeah, but in the long run will lose its value to developers when it comes to game piracy… just my thoughts. Regardless of the PSP being hacked it was still one of the all time best selling handhelds and had a backlog of AA games a mile high. To say that developers will stay away because of piracy is foolish, hacking the PS3 is now so streamlined and easy that most could do it, yet there are still AAA games for it. Your thoughts are wrong. Look at PS3, look at 3DS. Both are hacked but sell like hot cakes and there are manyt games being made for both of them (even tho PS3 is getting obsolete). There is no incentive for big studios to develop for VITA because the user base is so small hence the projected sales would be too small to regain the investment let alone profit. history would like to disagree with you about hacking. I’m not saying hacking a device makes it sell, I’m saying that hacking and piracy barely influences unit and game sales at all. Those who hack is because they don’t have the money or means to buy the game in the first place, and those who do prefer to pay and have the game at launch. It is evil companies like EA and activision that try to place the “piracy kills consoles” mentality into gamers, while they themselves release the same copy-paste *** each year. the only reason psp handheld sold, was cause the the custom firmware. and you know that. as i said vita sales will rocket up no doubt. but for me the value will decrease, no one in their right mind, who has a hacked vita will buy AA games in the price range of $40. Am I right? The psp wasn’t selling well in the times of pandora and m33, it wasn’t until good games started to come out that it eventually began to sell. I think that the vita sales was actually higher during the pandara battery but they probably was psp refurbished or used from game stop not so much new psp but game sales probly was a little low but then u have to think people would still buy the umd because the psp memory card could barely fit a whole lot of psp game even with a dual micro psp memory card. but then people still had to get the game to make backup and I be like well I would have jus gone to gamestop bought like a *** load of games make backups of them and then return the games to game stop but then I was jus medifore because I was download psp games I get games I actuly like or have played a version of the game before but I tend to get downloads of games I like to try or alot of people are playing. Piracy kills developers who are getting *** by publishers like EA. EA tried to blame their *** on pirates. well Sony got a tuff portable market it has to deal with system like iPhones and samsung galaxy cool thing about android and iPhones is games like candy crush game that r popular on facebook. Social networking is wy iPhones and android phones r popular for portable devices. I bought a ps vita because it like a psp I mean if Xbox made a portable system I think I would probably get that to but Microsoft seems busy with tablet and phones but a portable Xbox or portable Xbox 360 be cool. Sony should have made a portable ps3 with the ps vita but I guess they wasent think androids be popular but I was like a portable ps3 like a tablet or hand held be pretty boss well I know if I could play ps3 game on the go and not be remote play would be cool. I myself would love for a full hack like back in the psp days. I do miss the days from long ago when playing emulators, ps1, and psp games on the fly not just watching people finding a way to do it and hanging it in our faces saying “i can but you’ll never be able to” seem’s to me that its just plain rude and i feel will backfire on us all so please !!! !FREE THE HACKS!!!! Nothing does anyone any good being kept in a box (or a computer) as this is. Why don’t you try to find your own hacks/exploits? back in such days there was a nice little hack called pandora that allowed any PSP with such hardware flaw to be downgraded and CFW to be installed regardless of any security meassures Sony might pull off, so keeping stuff hidden was kind of not needed. It was also a time where knowing how to perform such hacks was secret and kept in the dark, so while hacks themselves where public, the methods to do them were not. Nowadays we’re in a time where it’s vital to keep hacks under wraps as it’s really easy and fast to patch them, but we have the proceedures and methods to achieve these hacks public and very well docummented. Times changes I’m afraid. First off, much love to wololo and all if the other devs and admins that keep this scene and this site going. Yes TN has famously stepped in twice to give the psp and vita community with kexploits. 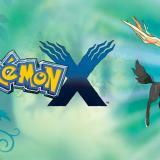 But it has been the team here that has made these things available to the masses and kept things exciting for everyone. Shame on anyone who challenges their contributions. If it wasn’t for sites like this new devs like TN never would have been inspired to do what they have done for us. Why do people like me still get excited about the vita and progress on hacking it? Because I love the design of the hardware, the power it contains for more intensive emulators, the touchscreen and back. Let’s keep this scene positive so that we can inspire the next generation of DAX, TN, graf_chokolo, yifanlu, wololos and countless others out there. The main reason I want to see a full Vita hack is so I can play the PSOne Classics that Sony won’t let us play on the Vita so we can have sound for a change. The PSP Emu hack should be held until a really nice Vita update comes around. probably a bug, try refreshing the page. yeah it’s a 100% legit bug, nothing at all is going on. OK my question is, when looking for exploits, how do I know when its a kernel or a user mode? You will find usermode exploits in games. You will find kernel exploits in firmware modules. Why can’t they be found in Vita Games. A game like LBP would pull almost all libs wouldn’t it? has been said a dozens of times already. Even if a Vita game has a simple buffer overflow, you have to be able to decrypt and reencrypt the save, you have to defeat modern security measures the psp didn’t have like stack canaries, nx, aslr. You have to code an SDK, blablabla, it all comes down to vita games not being a viable atack vector. Is there anyway to look for such kernel exploits? My PS Vita is running on 3.12. Is there any way to put PSP games on PS Vita 3.12. Yeah, through the Vita’s PSN store. Well said very Well said. @wololo,i think we are missing a big part of the vita hacking scene that will never be thrown to the public.Dont tell me there is no alternate method of installing ps vita games on ps vita other than via psn store,pc or ps3.There is a way….would d hackerz in this community stop putting us in dark? something is wrong, no bug atall, I posted some comments 10min later its no longer on this thread. Can you hack the vita by introducing an expoit through CMA? 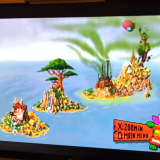 Like inserting a fake picture/vid/music that will load CFW or sumthin when opened on vita? Sorry, I’m a noob on computers..
No… that would be doing a buffer overflow, and the vita has many protections against that. But… there is a port on the VTV that is not present on the PSV. Data does travel along that port, I’m talkin’ sniffing the F outta that port’s protocols for possible useful information? Does updating to current firmware get your PSN banned? On PSVita? no banned accounts have been reported. Yea, on vita. I’m done using TN-V and I wanted to know if it was safe to update. Yes, 100% safe to update! wow. reading these comments…it not really hard to code if you can grasp the basic coding language that are popular these days. And I don’t think most of you followed geo_hotz’s trial, but remember, Sony can afford lawyers, geo couldn’t. and as for the quality of the game…you shouldn’t blame EA or Activision…what you REALLY should blame are certain gamers. There are gamers that want it easy, short or hard and long. lately, rpg games don’t even makes you put in 200 hours of gameplay like PS1 and PS2 did. what with all those easter eggs, hidden boss and treasures. I could name a few, but then, i’m bias about it. But such a good example would be FFIII (formerlly known as FFXI. correct me if i’m wrong). but excellent work, acid_snake, and way to uphold the trust. no point in telling what games it is so someone can leak it for the glory…that the problem these days…and was one of the reason Dark_Alex left the psp scene. correct me if i’m wrong, but dark_alex was a bit *** off when someone simply changed a code, named it as their cfw like they did all the works but it wasn’t their own works. while i wait for the days when ps vita is fully hacked (i’ll still wait, cuz we need a better player for the vita AND ablitites to remove useless apps), i’ll gladly pay Sony $50 for PS+ for the free games they gives out. FYI: if you were to chek the price the Playstation Store sell them for and how much it’ll be out of Sony’s pocket per month…you’ll probably be surprised on how much content you can get in a year. It’s funny how hackers here claim kernel exploits of the psp emulator. A REAL native vita exploit will not be found via any software means. Sony was really clever on that one. The first attempt of a real vita “hack” will be made by hardware tinkerers like yifan did or like katsu is doing, or maybe others are doing behind the scenes. And like it or not, THERE ISN’T GONNA BE A CFW or software only solution. A cfw cannot be marketed, like this or not but as it seems to me, katsu isn’t doing this for the greater good of mankind!!! 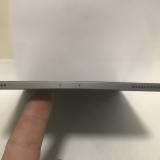 Like with the unreleased TV out mod, he was trying to sell it, his possible clients were not interested due to the price tag of his find and the unpopularity of the device itself. No other explanation is there, else if he would do it for the vita “scene”, he would have released it. The first and only thing to hit the market and enable piracy will be a chip. Be it a soldered solution which sits in between SoC and cartridge controller or be it a flashcart with its virtual machine running on a single arm processor. Look at the 3ds, it has a faaaar greater scene and is widely much more popular. Does it have a cfw? No, it has chip only solutions. And only for a certain range of firmwares where it is possible to trigger a certain event. Is there any possible way to down grade the to a lower firmware? why are you bringing up popsexploit? You are kind of on the right track, but you are missing a few bits and pieces of essential information on the subject. *** sad,Sony already made a 3.15 update so if you’re still waiting for 3.12 exploit will be a waste of time since you’ll need to update your system AGAIN.I’ll wait for christmas for a new whatever you called exploitable game to run psp games,and i hopw i can FINALLY finish Valkirye Profile for good XD.Silent Hill Origins will not be a problem now since we heard that it will be available on psn soon along with Dimensions. Hey Guys. I’m looking to get into handhelds. I have never had a handheld gaming device before. I was looking at the new slim PS vita and the old one but many say the old version is better. IF I want to be able to play old PSP games which is better? I have a few ISO’s for old games I want to play but I don’t think it will work if the PSP is not hacked. I mainly want Naruto’s games and since no PS Vita Naruto games have come out I’m sc***. IS it better to get a PSP 2000-3000 or a PS Vita. I know PS Vita will have longer longevity at this point and better games in the future. Then get a psp. Install 6.60 pro b or 6.60 pro c2 or TN’s firmware. There is currently only ecfw for certain ps vita firmwares triggered through a kernel exploit in the psp emu of the vita. However, it is major inconvenient and costly, as sony ps vita memory cards a too expensive and limited in capacity. + supports memory sticks up to 128 GB. + has a fully developed cfw and Lcfw. + supports TV out depending on model and cable. + has a HUGE library of homebrew. + supports creating your own psone to psp eboots. + has cheap psp games on psn. – does not play ps vita titles. – has not so great remote play features. + has ecfw ( certain exploit and firmware only ). – has expensive memory cards. – needs content manager assitant. – has no TV out. – has only limited psp library. – has only limited psone library. – does not support UMD’s. – has a not so great library of games (still). So I would vouch for psp 3k or a psp go (n1000) if you can find one. Don’t get the e1000 it has no wlan, mono speakers and inbuilt akku.